After a quick pickup of crafts from Temiars in the Kuala Betis area for JALINAN, we decided to stop at Kampung Kelaik in Lojing (in Kelantan but nearer to Cameron Highlands) to update ourselves since our last visit. The place is being heavily logged now. In fact, the area surrounding the village is being clear-cut to create an oil palm plantation. 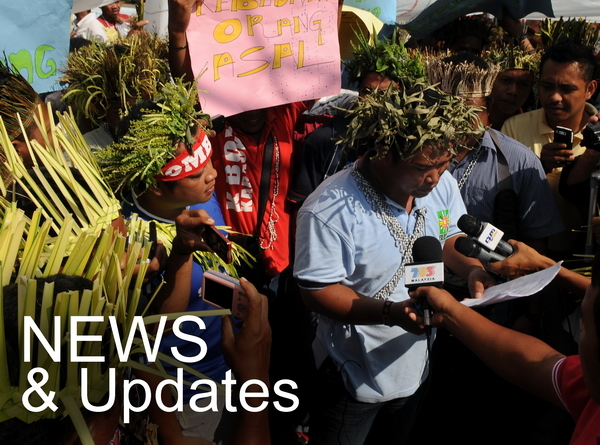 According to the Temiars there, the Chinese operator has been given 5,000 hectares by the Kelantan state government to log and strip the ‘forest reserve’ of its skin before converting it into an oil palm 'forest'. This puts the Temiar at Kampung Kelaik in a precarious situation. 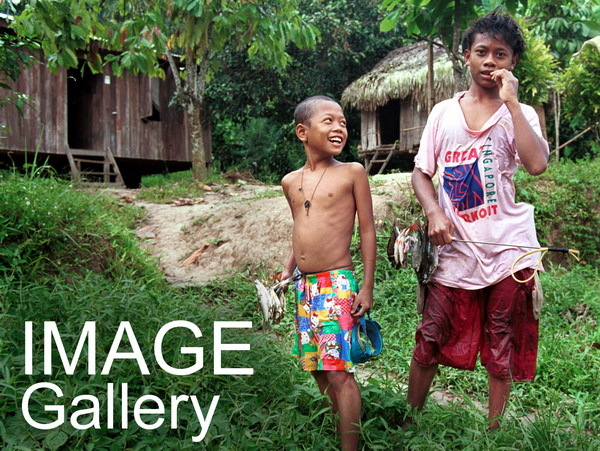 Not only is their livelihood being affected, but they have lost much of their traditional territory. They are now left with 89.5 hectares (221 acres) of ‘agricultural land’ that is not even gazetted as an Orang Asli Reserve. That’s just 1.8 per cent of what the logger-planter got. Unfortunately, this scenario is not unique to Kampung Kelaik. 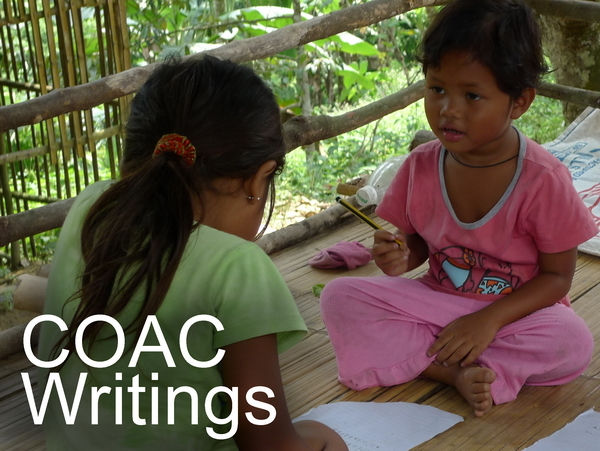 It is the fate of many Orang Asli communities in Kelantan. The economic project: log, strip the forest clear, plant with oil palm. Yes, “We Green the Earth” – as the billboards during Mahathir’s time told the world. And to think that the timber is being passed of as having been obtained from a sustainable source and with the rights of the Orang Asli taken into account – all in apparent compliance with the Malaysian Timber Certification Council’s (MTCC) standard for this state-wide forest management unit (FMU). The village is a small hamlet of ten houses. Their way of life has not caused any irreparable damage to the environment for as long as they have lived there. The loggers are within shouting distance of the village, if you can shout loud above the din of heavy machinery. The river remains polluted and the forest resources this Temiar weaver needs are hard to obtain these days. 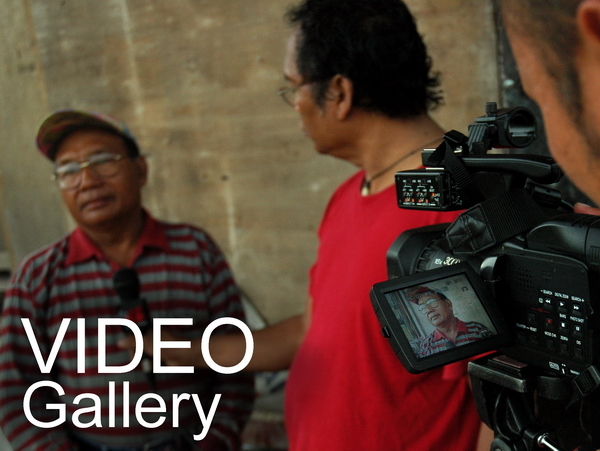 Batin Alang Busu (behind) seems almost resigned and helpless to the fate of his community. Some of the women are forced to work as contract labourers to make ends meet. Alas, many of the young Temiars do not seem to know that they are destined to be deprived of a choice regarding their future. The batin's brother-in-law from neighbouring Pos Hendrop tells us of the same situation in his area.